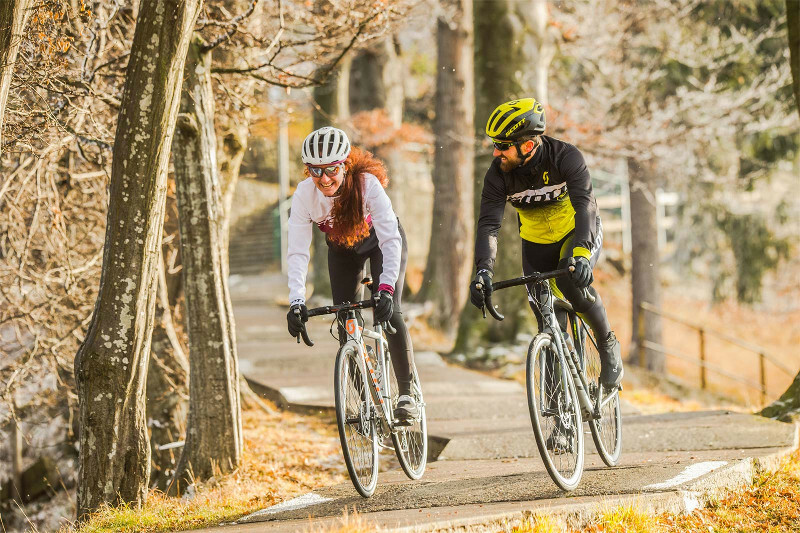 Simply wearing the right gear can make things a lot more comfortable when cycling in the winter. Pay special attention to your extremities - your hands, feet, and head. Investing in some decent cycling gloves is essential. Consider doubling up on socks to stop your feet from turning to blocks of ice. In rainy weather, shoe covers do a great job of keeping your feet dry, especially if you’re going to be wearing them all day at work. If you’re cycling for a reasonable distance in cooler conditions, knee warmers can help prevent injury by keeping your ligaments warm. But when the temperature really drops, we would recommend using full-length winter bib tights for that additional warmth and comfort. Resist the temptation to wear a heavy coat on your torso, favouring a breathable windproof and waterproof jacket to keep out the worst of the elements. This, combined with a breathable base layer, should help you to maintain a consistent temperature without getting too sweaty. When it comes to winter cycling, mudguards (or ‘fenders’) are a must. In wet weather, the volume of water that your tyres will pick up and dump directly onto your back is not to be underestimated. A rear mudguard will stop rain and snow shooting up from the road and covering your backside in cold, dirty water. Fix a mudguard on both your front wheel as well as the back. A front mudguard will go some way to saving your shoes from filling with water. Mudguards will also keep your bike that little bit cleaner, deflecting grime that would otherwise get sprayed all over your components, shortening their life. So, save yourself a whole lot of misery, and make sure you don’t venture out in wet conditions this winter without mudguards. Make cycling an all-around more comfortable experience for yourself by ensuring that you are super visible to motorists. Visibility is worse in the winter than it is the rest of the year. Rain, fog, and fewer daylight hours mean that you need to be kitted out with hi-vis clothing and a minimum of one good set of battery powered cycling lights. Making yourself visible not only reduces the risk of accidents, but it can also help your nerves. Of course, you can never be too careful, but knowing that you are doing all you can to be visible does provide a certain peace of mind, taking a bit of the edge off those grisly winter weather conditions. 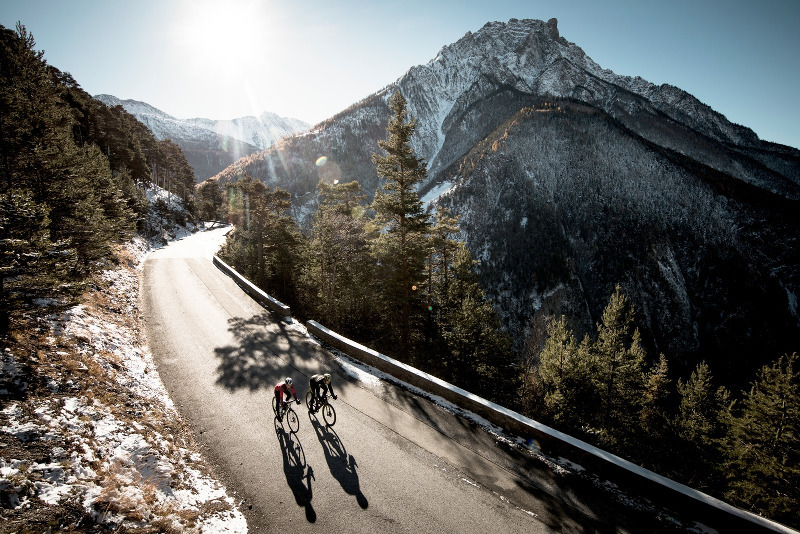 Winter road cycling is no time to be thinking about marginal gains. Skinny, super aerodynamic tyres might help you when you’re racing against your friends on the weekend, but they’re not going to help anyone when the weather turns and the roads become slippery and wet. 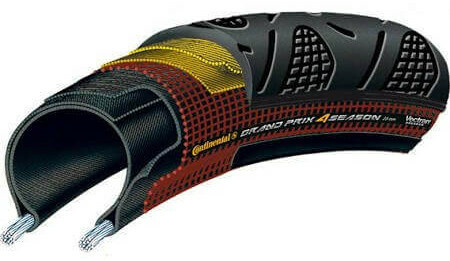 Grip is the most important thing you want out of winter cycling tyres. Fit some 25mm or 28mm tyres, and pump them up to a slightly lower pressure for extra traction. Don’t skimp on cheap tyres that will easily puncture. Even if you aren’t going to get as much use out of your bike in the winter as you would in the summer, the last thing you want is to be fixing a puncture on the side of the road in the freezing cold. But if you do fall victim to the dreaded puncture, make sure you are prepared with the right tools to fix the issue. Equip yourself with a quality mini-pump, tyre levers, and a spare innertube. The winter weather will take its toll on your machine, so take a little bit of extra time to stay on top of your bike’s health. Don’t leave your chainset dripping with rainwater if you can at all avoid it. After a mucky ride in the rain or snow, sponge off the dirt with some warm water. The grit that’s used on roads in icy conditions can be corrosive, so you don’t want that stuff building up on your bike. Invest in a good all-around cleaner like Motul. It’s a bit of extra work, but putting in the time to give your bike a quick clean in the winter months will ultimately keep your ride safer and more comfortable, as well as increasing the life of your bike. A little tip to make your winter ride that little bit more comfortable is to add an extra layer of handlebar tape. Will it make you warmer? No. Will it make you safer? No. But when it’s bitingly cold, your fingers are turning numb, and the rain is pelting at your face, that extra bit of comfort on your hands does make a difference. Put your usual spartan self on mute and reward yourself for braving the cold. Add a bit of extra comfort to your bike this winter by doubling up on grip tape. Finding the optimal route in the winter can be tricky. On the one hand, you probably feel inclined to stick to those quiet backroads where motor traffic is minimal and you have the road to yourself. But quiet roads are less likely to be gritted in the winter, increasing the likelihood that you will encounter ice. So considering rerouting on bad weather days. You might need to extend the time you leave for your journey when bad weather strikes, but if you take the necessary precautions, a well-planned cycling route is often more reliable than other forms of transport in the winter months. If you’re heading out into the cold, a hot drink just before you leave can ease the transition. Having something warm in your belly just before you set out makes a difference. Stay hydrated during your journey too. Even when the weather’s cold, it doesn’t mean that you’ve stopped sweating out fluids. The right sort of foods can also help with winter cycling. Thermoregulation and increased inefficiency created by adverse weather conditions mean that cycling in the winter can use more calories. Remember that the temperature of the food and drink you’re consuming makes a difference. 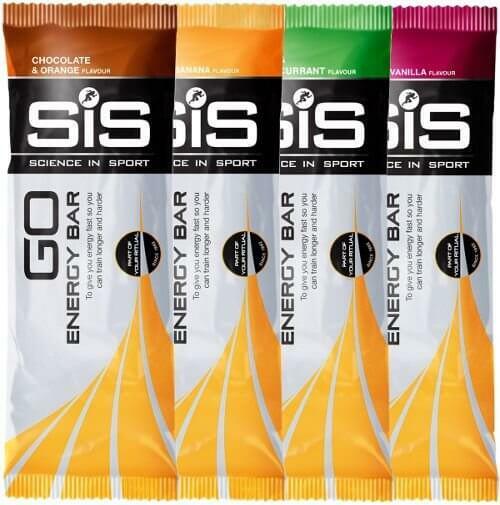 Consider warming up whatever you put inside you, and keeping energy bars in a warm pocket. Not only is cold food less appealing, but it can cause a dip in your body temperature. If you’re cycling to work in snowy and icy conditions, lowering your saddle is an easy way to improve stability. By lowering your centre of gravity you make balance easier in icy conditions. A lower saddle will also prevent you from riding at your top speed, which is no bad thing when weather conditions are poor. Get off to a good start by making sure your bike is in ship shape at the start of winter. You need to inspect the bearings, check the chain and cassette for signs of wear, and check all brake and gear cables. You don’t want core components to let you down on a cold, wet November commute. Make sure to keep your chain clean, dry, and greased with a heavy lube. Winter weather conditions make stuff go wrong with your bike, so keep an eye on all your components. If in doubt, head out for a professional service to ensure everything is in tip-top working order. How do you make your winter ride better? Share your thoughts in the comments below.